Nothing stops Bancroft Enterprises from developing the best in scientific technology, despite the harsh competition. At the height of its power, biomedical technician Clark Ravensdale performs the nearly-impossible: raising six New Testament figures. Though criticisms from the religious and scientific communities persist, both groups use this project as an opportunity to advance their agendas. In the midst of division, Clark shies away from discussion, hoping that the fierceness subsides and won’t deter his workaholic life. However, those mixed feelings change. While some have characterized the disciples as primitive, others like Clark notice the abnormal behaviors and uncanny intellect. As more time is spent living with the disciples, a realization comes to mind: perhaps there is more truth to the New Testament than some thought. The Resurrection by H.A. Parker tells a story that forces you to examine your own personal convictions regarding science and religion. 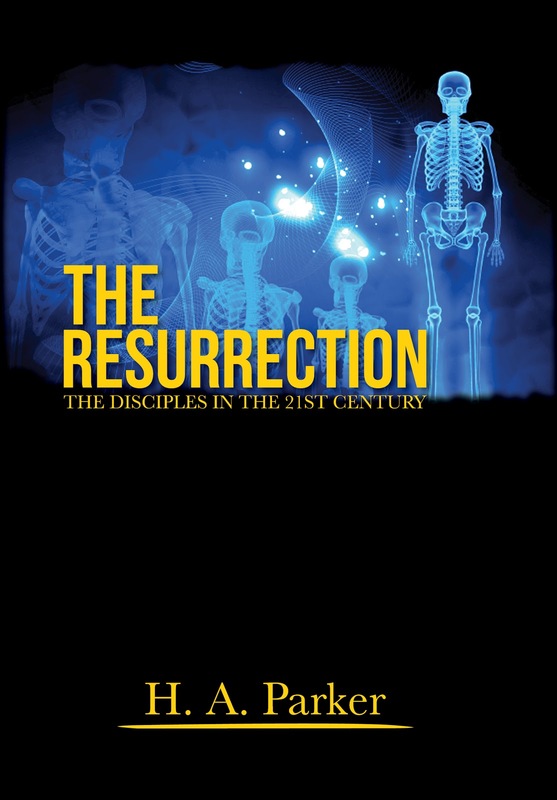 As a science teacher, I can understand the almost fanatical belief held by the scientists and their goal to resurrect the disciples. The main character, Clark, has had his faith in God challenged and he clings to science as an acceptable way to process the world. At the same time, his life has become void of everything. He lives alone, has few, if any, friends and he is very devoted to his job and his enigmatic boss. 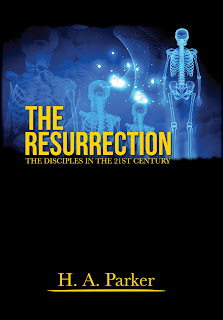 Suddenly becoming the "keeper" of the resurrected disciples, Clark quickly discovers many of their ideas about them were wrong and he is faced with the faith and religion he turned his back on for science. He also comes to realized that things are not as he believed with his boss and he wonders if they are doing the right thing. I really enjoyed the fact there was no clear-cut answer. All the characters had to deal with the issue of their own faith and belief in the face of the Disciples. This book serves as an excellent example of what is going on in today's churches. This story explores the goals of the modern church and how so many shift focus to a corporate mindset. This story evokes deep thought into the reader's own personal ideals of religion and how the face of the church has changed. Everyone who interacts with the Disciples find themselves changed. From the fanatical coworker Fulbright to the maniacal boss Bancroft, everyone has reactions to the Disciples. For some, their faith is reaffirmed. For others, the need to control the Disciples outweighs all. As for the Disciples, I found them to be delightful. Quickly adjusting to being in the 21st century, they have never lost their faith in God and waste any time starting their mission of evangelizing. They grow concerned as they realize the modern world has deviated from the message of God, as they know it and the Disciples do not bite their tongue in letting everyone they have strayed from the message. This story was so compelling. See everything through Clark's eyes really made the story so poignant. It was interesting to see his battle with himself, his religious convictions and his science beliefs. This story is such a reflection on much of the discussion between religion and science today. This story is such a reflection on much of the discussion between religion and science today. This is one you should pick up if you are ready to read and be challenged to think outside the box. Religion vs. science is definitely a compelling premise. Thanks for posting another thought-provoking review!